Where are you at with your gun business? You want to make money with guns but you don’t have a Federal Firearms License (FFL) yet. Your first step to being engaged in the business of firearms, whether selling, making, or importing/exporting, is to get yourself an FFL. Next, depending on whether you want to deal with NFA firearms (silencers,machine guns, etc. ), you’ll also need to become a Special Occupational Taxpayer (SOT). Sound confusing and/or difficult? It’s not! You’ve already got your FFL and you know that you need some help with ATF compliance and/or Import/Export Compliance. If you’re just starting out, that’s great news! By getting our help now, you’ll be all set. Already in business as an FFL? It’s never too late to get help with your ATF compliance and State/Commerce complaince efforts. In trouble with the ATF? Although our courses will teach you what you need to know, you may need to contact us directly for firearms attorney support. You’ve already got your FFL, you’re an SOT, you understand ATF compliance, and you’re up to speed on firearm import/export rules…what’s next? We offer the tools and knowledge you need inlcuding FFL software for electronic A&D bound book records, compliance training for your employees, gun-friendly credit card processing, e-commerce/website support, and more! 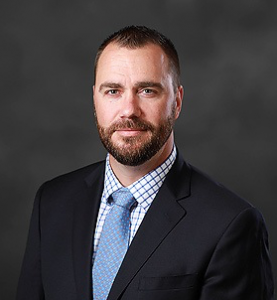 Ryan Cleckner is an attorney specializing in firearms law, a best-selling author, a firearms industry executive, a university professor, and he’s a true gun-guy. Our online course teaches you everything you need to know to get your FFL the right way. There are many questions and decisions you’ll have to make along the way – we’re here to walk you through them. This online course walks you through the process of becoming an SOT (Class 2 or 3) so that you can use your FFL to work with NFA firearms like silencers, machineguns, and more. You’ve got your FFL and you’re an SOT – great! But now, the work really starts understanding and complying with the many rules and regulations. This subscription-based course keeps you in the knoweven as things change! This course not only covered rules of an FFL and how to obtain one but also other considerations I had not thought of such as establishing a business. The course was easy to follow and Ryan explains things in a way that makes the lesson easily understood. The attached videos are nice and re-enforces the written lesson. Besides learning how to obtain the FFL it also got me thinking of my business plan which made it easier for me to accomplish the varied tasks in establishing a FFL business. The only thing I would like to see is a printable format for the lessons for a quick future review of the topics. Tony S.
Rocket FFL’s step by step approach to understanding and applying for your FFL is by far the best internet resource available. I wish I had discovered RocketFFL.com prior to completing my application. I had gone as far as to sit down with my local CLEO and we attempted to make sense of some of the paperwork together. Admittedly our Sheriff had not dealt with the paperwork personally either, so this was a learning experience for both of us. Ryan’s walk through approach is well thought out, has great attention to detail, covers topics regarding the laws and regulations (GCA, NFA), and answered all of the pertinent questions right up front. Once providing you with the necessary background he steps you through filling out the paperwork and even goes over how to mail it. If that wasn’t enough he provides the ATF forms online (keeping handwriting to a minimum), and has put together a full application kit complete with postage paid, addressed envelopes if you desire. 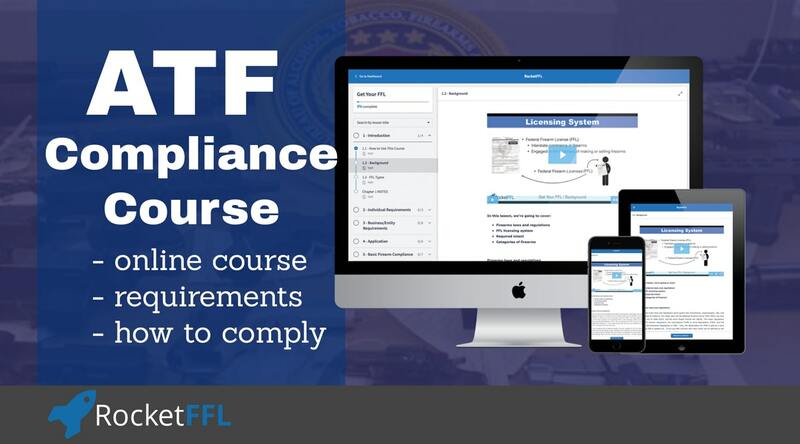 Coupled with course work for SOT and ATF Compliance – Rocket FFL is going the extra mile to ensure your success as a Federal Firearms Licensee. Christopher H.
I read the sample chapters on this course before purchasing it and I immediately saw that it contained the information that I needed. It clarifies and exemplifies stages of the whole process in a clear and consistent and reader friendly manner. Although the author mentions different parts of ATF regulations he makes everything easy to understand. This is by far the best resource I have seen on something that can be intimidating for many of us. The website runs as it should and the whole process is amazing. Thanks Ryan for all the valuable insight and for sharing your many years of experience! Oscar D.
This was an awesome online tutorial, took a lot of the mystery out the process. I highly recommend this course if you’re planning to apply for an FFL. Ken S.
Ryan covers a lot in a the course. The addition of the video’s help make things easier to understand. I would suggest the course to anyone thinking about getting an FFL. Keith S.
RocketFFL was started because there was a need for quality and accurate information about obtaining and running FFLs. RocketFFL provides step-by-step online guides to help you get your Federal Firearms License (FFL) and become a Special Occupational Taxpayer (SOT) (Class 2 Manufacturer or Class 3 Dealer). Our guides are delivered through a best-in-class online classroom that allows you to track your progress and save your spot to come back and finish later. Each chapter and lesson is designed to teach the information in a digestable format that doesn’t overwhelm you – and, there are videos to help you along the way! How do I get an FFL? Honestly, it’s not that hard. You can fill out the application (ATF Form 7), gather all the required information (fingerprints, photos, business info), and send it off to the ATF on your own. If that’s not the worst sales-pitch ever, I don’t know what is! RocketFFL is here to make sure that you get it done right, you make the right choices for the many decisions you’ll have to make, and you get up and running as an FFL fast! It depends. The cost of an FFL can range anywhere from $30-$3,000 every three years. The two most common types of FFLs, Type 1 Dealer/Gunsmith and Type 7 Manufacturer, cost $200 for the first 3 years and $90 renewal for the Type 1 and $150 for the first three years and $200 renewal for a Type 7. Learn more about FFL Costs. Why should I use RocketFFL? RocketFFL is the best, and easiest to use, guide available and it is the ONLY service created by an actual firearms attorney! Anybody can tell you what to do to apply for an FFL – heck, you can even get one on your own (see the FAQ above “How do I ge an FFL?”). But, if you’re going to get help to make sure you do it the right way, why wouldn’t you get advice about what the law requires from an actual attorney? Afterall, if you’e looking for medical advice, do you ask someone who’s been to a doctor, or do you ask the doctor? RocketFFL uses a professional system to manage your enrollment in various guides and/or courses on firearm compliane. This unique system breaks down the information into managable topics and has many videos to help you along the way. And, once you’re up and running, you can train yourself and your employees in many firearms complaince topics. Ryan Cleckner, the lawyer behind RocketFFL, is a true gun-guy with actual firearm industry experience who knows how to teach! He knows guns. Ryan’s a former special operations sniper (1/75 Ranger) with multiple combat deployments, he’s been a sniper expert on the History channel, he has numerous YouTube shooting videos with over 1 million views (one you’ve got to see to believe), and he’s a regular contributor to firearms magazines and blogs. He has actual industry experience. Ryan managed federal government relations for the firearm industry’s trade associateion (NSSF), he’s been a voting board member of the nation’s firearm/ammunition standards group (SAAMI), he’s was a Vice President in charge of firearm compliance for the largest firearms manufacturer in the country, he’s managed 24 FFLs at once, and he’s a full-time firearms attorney currently representing over 600 FFLs. He knows how to teach. Ryan is a professional educator, he’s the best-selling author of the Long Range Shooting Handbook, and most of his popular YouTube videos are due to his ability to break down seemingly complex topics in a way that anyone can understand. Ryan was previsouly a sniper instructor and has taught for years at the college/university level. He currently teaches Consitutional Law courses for the Univeristy of Alabama in Huntsville. Which type of FFL should I get? It depends on what you want to do. There are 9 types of FFLs which range from collecting only and dealing/gunsmithing up to manufacturing and importing. Learn more about FFL Types. How much does RocketFFL cost? RocketFFL offers two guides to get you up and running in the firearms industry: a guide to Get Your FFL and a guide to Become an SOT (class 3). Together, these guides are $59.90. These guides walk you through the entire process of becoming an FFL/SOT and they also give you the required background information, explain the basics of the laws, and give you practial real-world advice. All of these things help to ensure that you make the right decisions and set you up for success. RocketFFL also has course in firearms compliance. 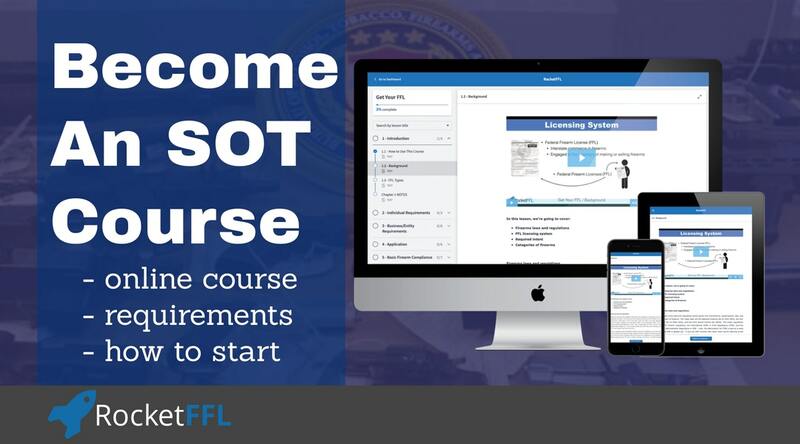 These courses range from $9.95 to train your employees up to $49.95 to educate yourself in topics such as ATF Compliance, Export Compliance, and more! Here’s the best way to break down the math. Pay $59.90 to get your FFL the right way or do it yourself, or worse waste money on another service, and pay thousands later for my help as a firearms attorney to get you out of trouble. Can I get an FFL at my home? Yes – you don’t even need to own your home! Our guides walk you through this entire process. If your zoning allows for a business, you don’t live too close to a school,and there aren’t any other restrictions on businesses/firearms where you live (e.g. Home Owner’s Association, city laws, etc.) then you can get an FFL out of your home! Does having a home-based FFL give the ATF the right to come into my house whenever they want? NO! The ATF, by law, only has the right to inspect your licensed premises if they have a search warrant in connection with a crime or once every 12 months for a compliance inspection (as you’ll soon find out, it’s rare to have them show up more than once every 3 years). Also, the ATF can only inspect the area you designate for your FFL. So, if you run the FFL out of your garage and you never store your business’s firearms or records in your bedroom, then the ATF has no right to go in your bedroom during a compliance inspection.